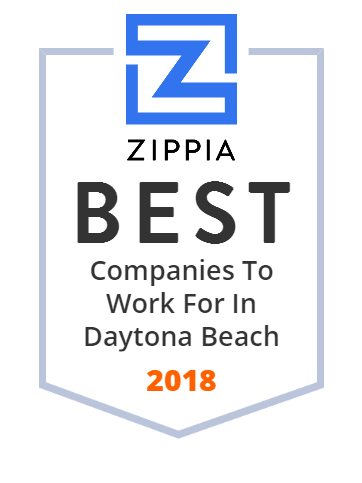 We hand-curated a list of the best companies to work for headquartered in and around Daytona Beach, FL using data on salaries, company financial health, and employee diversity. Embry-Riddle Aeronautical University is a private university system offering associate, bachelor, master's, and PhD degree programs in arts and sciences, aviation, business, engineering, computer programming, cyber security and security and intelligence. International Speedway Corporation (ISC) is a corporation whose primary business is the ownership and management of NASCAR and IndyCar race tracks. ISC was founded by NASCAR founder Bill France, Sr. in 1953 for the construction of Daytona International Speedway and in 1999 they merged with Penske Motorsports to become one of the largest motorsports companies in North America. The company has played an important, though controversial, role in the modernization of the sport. It has worked with NASCAR to create new tracks and update older ones in an effort to improve the racing and the experience for spectators (though because both companies have several members of the France family in top positions, ISC's competitors have filed multiple lawsuits on antitrust grounds) and has constructed popular new tracks in regions previously thought uninterested in NASCAR. Trust Doran Sims Wolfe & Ciocchetti for representation in family, estate, injury, and real estate conflicts. Call us today for a consultation at (386) 253-1111. DBAAR is a private trade association serving over 1,300 REALTOR and affiliate members in the greater Daytona Beach Area. P&S Paving, Inc. is an Asphalt Paving, Heavy Highway Contractor serving Volusia, Flagler, Brevard, Putnam, Lake, St. Johns, Seminoleand Marion Counties. Since 1993 we have been dedicated to providing outstanding quality and service. Neighbor To Family is a nationally accredited, evidence-based sibling foster care agency.